What types of video does your business need? Why use video to market your business? Video has become one of the most important parts of any digital marketing strategy. Research shows that 1 minute of video is as powerful as 1 million words of text, 85% of consumers are more likely to buy a product or service after watching a marketing video and video content is 12 times more likely to be shared on social media than regular images. Once you have decided that you need video, you need to consider the different ways a video can be used to promote your business and then decide which ones are best for you. So, what types of video can you have and how and where should you use them? This video provides a high-level overview of the different goods and services that your business provides and should be one of the first videos you consider producing.You don’t want to make the video too long, but it should give a good, clear overview of what your business does and the benefits a customer will gain from working with you. You would want to have this shown on the home page of your website and if you have a web page giving an overview of services then you would include it there too. You will also want to share this on all your social media channels and you may want to consider pinning the post that features this video to the top of your social media feeds so it is clearly in view for anybody looking at you. If you have a Facebook business page, you can consider using this video as your page banner, as Facebook has now rolled out the facility. You should consider producing a video highlighting the benefits and features of each of your services or products. The video should feature the benefits potential customers will gain from using your goods or services. Once produced, the video should feature on the appropriate product/service page on your website, as well as being featured on your social media channels. If you write a blog post featuring any of your products or services, you should feature your appropriate product or service video too. Promotional videos can be used for marketing any sales or product promotions you are currently running. The video should feature the benefits of the product or service you are promoting, along with details of the promotion and how long the promotion is running for. You can also use video to promote any events you are running or any occasions where you are exhibiting or speaking. Make sure you feature all relevant details, such as the location, date and if relevant the time you will be there. Having a video of your customers providing a testimonial about your product or service is an extremely powerful marketing message, so you should look to create some of these as soon as the opportunity arises. You should ask your customers if they are willing to be recorded when providing you with a testimonial and record this if they are willing. For many businesses it can be difficult to get customers to be available or willing to be on camera to record a testimonial, so an alternate style is get customers to provide written testimonials and to turn these into slideshow videos. You will notice that all of the example videos shown feature a video logo. Having a custom video logo created for you helps to present a powerful, coherent branding for your business throughout your video marketing. Case studies are a great way to demonstrate how your customers have benefited from your goods and services. Explaining these in a video is a very strong way to get your message across, telling the story of the work you have done for your client and how it has benefited them. Your videos should feature on all the relevant pages on your website. 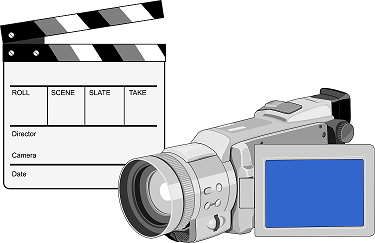 It is best to do this by hosting the video on a video hosting site such as YouTube, Vimeo or Wistea and embedding the hosted video into your web page rather than trying to host the video directly onto your website, as these hosting sites are optimised to stream video and have the bandwidth needed to do this, where your website probably doesn’t. You should also share your videos on your social media channels. It is best to upload your video to each of the channels rather than sharing the hosted link, as all social media channels have now optimised the algorithms they use so that it favours videos hosted locally. This means that videos loaded directly to each social media channel are more likely to appear in people’s timelines.